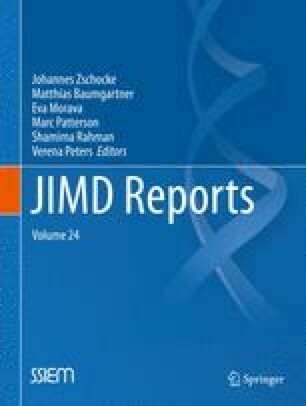 In this observational cohort study, we examined the prognostic value of growth and differentiation factor 15 (GDF15) in indicating and monitoring general mitochondrial disease severity and progression in adult carriers of the m.3243A>G mutation. Ninety-seven adult carriers of the m.3243A>G mutation were included in this study. The Newcastle mitochondrial disease adult scale was used for rating mitochondrial disease severity. In parallel, blood was drawn for GDF15 analysis by ELISA. Forty-nine carriers were included in a follow-up study. In a small subset of subjects of whom an echocardiogram was available from general patient care, myocardial deformation was assessed using two-dimensional speckle-tracking strain analysis. A moderate positive correlation was found between the concentration of GDF15 and disease severity (r = 0.59; p < 0.001). The concentration of serum GDF15 was higher in m.3243A>G carriers with diabetes mellitus, cardiomyopathy, and renal abnormalities. After a 2-year follow-up, no significant correlation was found between the change in disease severity and the change in the concentration of GDF15 or between the GDF15 level at the first assessment and the change in disease severity. In the subcohort of patients of whom an echocardiogram was available, the concentration of GDF15 correlated moderately to longitudinal global strain (r = 0.55; p = 0.006; n = 23) but not to circumferential or radial strain. Our results indicate that serum GDF15 is not a strong surrogate marker for general mitochondrial disease severity. Its value in indicating myocardial deformation should be confirmed in a prospective longitudinal study. This work was partly supported by the Netherlands Organisation for Scientific Research (the NWO Centres for Systems Biology Research initiative), ZonMW (AGIKO grants Saskia Koene and Dennis Vriens), and Stichting Energy4All. We thank Inge Konijnenberg-Kramer for sample handling. Jan Smeitink is the CEO of Khondrion BV. Saskia Koene received research support from the Netherlands Organisation for Scientific Research (NWO). Paul de Laat received research support from the Stichting Energy4all. Doorlène H. van Tienoven reports no disclosures. Gert Weijers reports no disclosures. Dennis Vriens received research support from the Netherlands Organisation for Scientific Research (NWO) and the Dutch Cancer Society, not related to the current study. Prof. Fred C.G.J. Sweep reports no disclosures. Janneke Timmermans reports no disclosures. Livia Kapusta reports no disclosures. Dr. Mirian C.H. Janssen reports no disclosures. Prof. Smeitink is the founder and CEO of Khondrion and is funded by the Netherlands Organisation for Scientific Research and by ongoing Marie Curie and Eurostars grants and grants of Stichting Energy4All, none related to the current study. This study was not industry sponsored. All procedures followed were in accordance with the ethical standards of the responsible committee on human experimentation (institutional and national) and with the Helsinki Declaration of 1975, as revised in 2013. Informed consent was obtained from all patients for being included in the study.